Smooth, creamy taste, with a touch of caramel toffee. 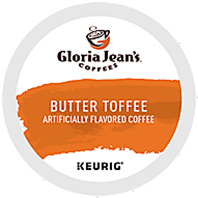 Add this one to your many favorite K-Cup packs! It's perfect for those days where you're just looking for a fix, and you need to unwind.